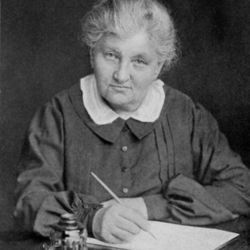 Jane Addams Talks for Peace. 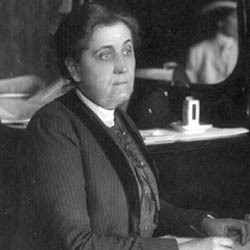 Jane Addams, well known to nearly every person in the audience, when she rose to speak she was cheered almost as enthusiastically as had been Mme. Breshkovsky. The note of peace was sounded in her address. Not peaceful submission, but rather a peaceful revolution, won by the might of right rather than by the might of the sword. "I have not the same right to address you that the two previous speakers had," she said, "but I should like to remind you of the things which that greatest living Russian has said. 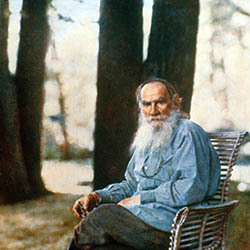 I know that it is not a time when the doctrines of Count [Tolstoy] are popular, because his voice is always lifted for peace. But though this revolution is going to be the greatest in the history of the world, I believe with him that it will be successful just in the same measure as it is free from violence. "The people all over the world believe that it is going to be a revolution without violence, and they look to the Russian people to make an epoch in history that can be pointed to with pride as having gained an end without the destruction of life and property." 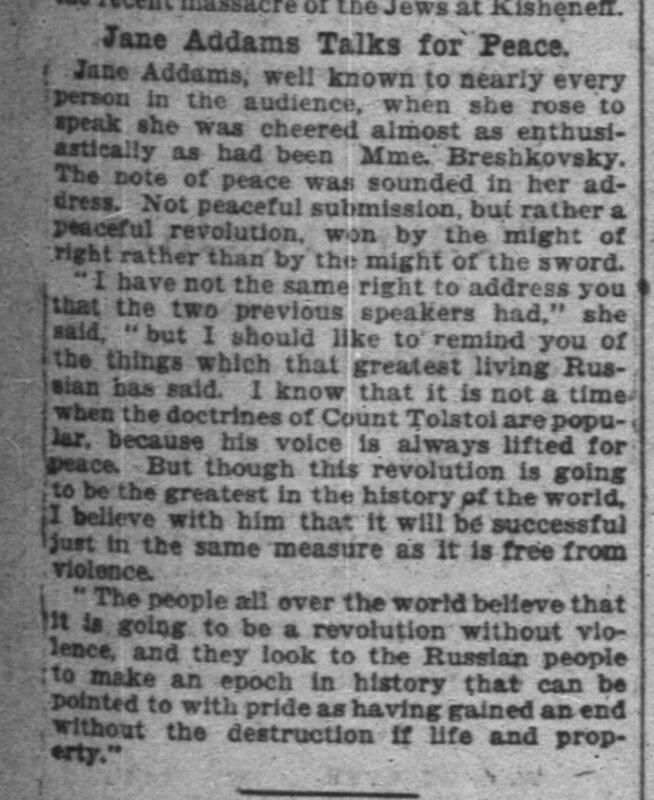 Addams spoke at a meeting of Chicago Russians to hear Madame Katherine Breshkovsky speak on Russian freedom. 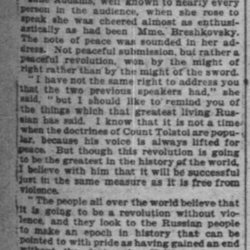 "Chicago Russians Show Sympathy," Chicago Daily Tribune, January 23, 1905, p. 5. 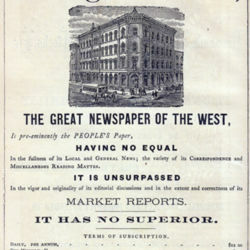 Addams, Jane, “Address at Meeting for Catherine Breshkovsky, January 22, 1905 (excerpt),” Jane Addams Digital Edition, accessed April 22, 2019, https://digital.janeaddams.ramapo.edu/items/show/6058.